An email today from Ross Eagle advises that Diana L. Kenworthy has secured the Democratic Party's endorsement for one of the three 10th Subcircuit seats open in the coming primary. The other two endorsed candidates in the 10th Subcircuit, Eagle advises, are Judge James E. Snyder, appointed by the Supreme Court in March to the fill Kowalski vacancy, and Judge Kenneth Fletcher, who was appointed to the Pucinski vacancy. But Eagle wanted to call my particular attention to Ms. Kenworthy's slating, and for good reason: He's Kenworthy's campaign treasurer. He's also Kenworthy's law partner -- their firm is Jester, Kenworthy & Eagle LLC -- and he's also her husband. 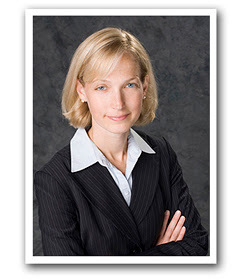 A lawyer since 1995, Kenworthy started her legal career in the Public Defender's office. She holds undergraduate and law degrees from The Ohio State University. Here's a link to the Kenworthy campaign website; the picture which accompanies this post was obtained at that site. Who's running for judge this year? A lot of men and women who are thinking very seriously about making a run came to Judge Moshe Jacobius' ceremonial courtroom on the 19th floor of the Daley Center last night to hear tips and advice about how to make a successful bid for the bench. Pictured above are most of the speakers and some of the sponsors of last night's program. From left to right (first row), Kamilah Parker, Assistant State's Attorney Z. Williams (First VP of the Cook County Bar Association), Judge Marjorie C. Laws, Judge Patrick E. McGann, Judge Sandra R. Otaka, Associate Judge Mathias W. Delort, and Judge Sebastian T. Patti; second row, Associate Judge Leonard Murray, Matthew Jannusch of the Lesbian and Gay Bar Association and Carl Turpin (President of the CCBA). Ms. Williams provided the welcome on behalf of the sponsoring organizations and Judge Murray served as emcee. Judge McGann led off the evening's speakers with a talk about ethics and a friendly warning: Judicial candidates are subject to discipline for violation of the Cannons of Judicial Ethics (see Illinois Supreme Court Rule 67 and Rule 8.2 of the Illinois Rules of Professional Conduct). Judge McGann discussed the Supreme Court case of Republican Party of Minnesota v. White, 536 U.S. 765 (2002), and what sorts of opinion disclosures may be appropriate for a judicial candidate. I suspect that this will be a topic for future posts as various interest groups send questionnaires to judicial hopefuls. Judge Murray stepped out of his role as emcee next and spoke about nominating petitions and other prerequisites for getting on the ballot. The large audience -- most of whom are circulating petitions right now -- had a great many technical questions for Judge Murray who, like Judge Delort, practiced as an election lawyer before going on the bench. Judge David Delgado (who is not shown in the accompanying picture) spoke next about the passion that a candidate must have in order to succeed in the election process. "You have to want it," he stressed, repeatedly, "and you have to have a plan." And, he suggested, a candidate must be prepared for "moments of darkness" when things will appear very bleak to a candidate. A candidate must, he said, surround himself with "positive people." Judge Delgado was elected from Cook County's 6th Subcircuit. Judge Marjorie Laws, who spoke next, was elected from the 2nd Subcircuit. Judge Laws asserted that an extensive political résumé is not required before becoming a candidate -- she had no substantial political experience, she told the audience, but she sought out, and obtained, political support when she undertook her candidacy. You have to get close to the politicians, she told the group. Judge Laws suggested that churches are wonderful places to get votes and taverns are good places to obtain petition signatures. With children at home, Judge Laws said, she was initially content to let her husband go to the taverns in the evening looking for signatures -- but he reported back that people wanted to see the candidate: She had to go, too. One night, Judge Laws told the group, she was in a long, narrow tavern, shaking hands and greeting patrons and following her husband, who was holding the clipboard for signatures. Suddenly he doubled back. "We have to go now," he told his wife, and began leading her from the premises. Judge Laws was surprised; she thought that things were going well. Judge Sebastian T. Patti was the only one of last night's speakers who'd been elected countywide. The audience gasped when he revealed how much he raised -- and spent -- in 1996. Campaigns are only more expensive now, he cautioned the audience, and the county has gotten no smaller. He suggested that a candidate would need a driver to maximize the ability to cover events on either side of the county in a single day; valuable time is lost while getting one's car from a parking garage. He suggested that a candidate might want to consider taking a leave of absence from his or her job to make the run; at the very least, he said, a candidate will need to take the last two or three weeks off before the primary. Judge Sandra R. Otaka was elected from the 9th Subcircuit. She is proud to be the first Asian American elected judge in Cook County and she told the audience how all the politically savvy people told her that this was impossible. (The 9th Subcircuit has traditionally elected Jewish candidates.) Judge Otaka had some very practical, nuts and bolts advice about precinct analysis and organization and how to allocate resources. The panelists thereafter fielded questions from the audience. Practical advice was dispensed in equal proportion with encouragement. Other organizations sponsoring last night's event were the Asian American Bar Association, Black Women Lawyers' Association of Greater Chicago, the Illinois Judicial Council, and the Puerto Rican Bar Association of Illinois. I had an email this evening from Judge Thomas R. Mulroy, who is already advertising on Pace buses, trying to call attention to his substantial credentials. Fat lot of good I've done him so far: I initially mistook his ads for those of another candidate. It's my belief (based on personal experience, not academic study) that ads tend to reinforce or shape impressions already formed. 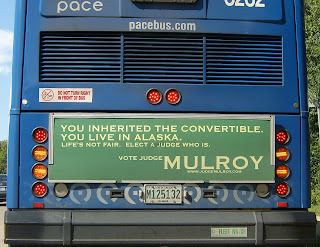 Thus, in seeing an ad on a bus, catching that it was for a judicial candidate, I mistakenly attributed it to someone with a similar name (John Mulroe -- whose campaign treasurer was the first to point out my mistake). And it's clever: "Life's not fair. Elect a judge who is." The caption may be a little hard to read at this size (even if you've clicked to enlarge) but it says, "Oh, put a sign on a bus saying you've become a judge..."
I'm certain that Judge Mulroy received this advice, in as many words, from someone. But the point is that these are whimsical ads and I think people will respond favorably to them. It's a good way of livening up the campaign... because judicial campaigns can be... well... rather dry. Effective yesterday, September 24, Demetrios G. Kottaras was appointed to fill the vacancy created by the retirement of Judge Gay-Lloyd Lott. Mr. Kottaras received his B.S. from Northwestern University in 1979 and his J.D. from Chicago-Kent in 1984. He has served as the Supervisor of the Financial Crimes Unit in the Cook County State's Attorney's Office in Cook County, as an adjunct faculty member at Chicago-Kent, and as a Director of the Hellenic Bar Association. I had a nice email late yesterday from Jeanne Anderson, who identifies herself as a staffer for John Mulroe's judicial campaign, charged, among other things, with managing Mulroe's "online presence." Ms. Anderson was checking in because of this September 8 post in which I said I saw Mulroe signs on a bus on Harlem Avenue. No, Ms. Anderson wrote, her candidate does not yet have any signs on buses. "I'm pretty sure I know the ads you're speaking of," she added. "I take Harlem Avenue to and from Loyola Academy several times a week and have frequently found myself behind a #423 Pace bus with a Thomas Mulroy campaign sign on its rear." I'm sure that must be what I saw. In my defense I can only say that I was driving kids to school myself and was paying more attention to the direction of the bus than to its advertisements. Anyway, Thomas R. Mulroy, most recently a partner at McGuire Woods LLP, was appointed to the bench by the Supreme Court in February of this year. Mulroy has also run his own firm and was with Jenner & Block for many years, serving at one point as head of that firm's Intellectual Property Department and finance committee. Mulroy has been an adjunct professor of trial practice at Loyola since 1983 and has taught at both the Northwestern and DePaul Schools of Law. Stephen Anderson's article for the ISBA about Mulroy's appointment is online here. So. I'm glad to clear that up. Please note that the Mulroe campaign has not ruled out advertising on buses. Ms. Anderson is also John Mulroe's campaign treasurer, she says, and she hopes "we soon have the funds to afford that kind of exposure." Toward that end, I notice, there's a fundraiser for the Mulroe campaign Friday, September 28 at Blackthorn Manor, 7280 W. Devon, Chicago, from 6:00 to 9:00pm. You can download an invite by clicking on the Mulroe link at the top of this post. Tom Biesty, a veteran prosecutor who's been associated with the Cook County State's Attorney's cold case unit, and who recently prosecuted Juan Luna for his part in the 1993 Palatine Brown's Chicken massacre, is running for judge in the 10th Subcircuit. Biesty's wife, Mary, a teacher at Sauganash Elementary School in Chicago, was circulating petitions at Notre Dame High School in Niles this morning. It was a good place to pick up valid signatures: The school was hosting Homecoming for St. Tarcissus Grade School and the stadium was packed -- and, as a bonus, there was a Notre Dame freshman football game before the St. Tars games. In conversing with Mrs. Biesty, I learned that Judge Dennis J. Morrissey will be stepping aside, leaving a third vacancy in the 10th Subcircuit. Here's a link to the updated vacancy list (as of September 19). I first saw mention of this story on The Capitol Fax Blog but the full details are to be found at Eric Zorn's blog, Change of Subject. Mr. Zorn (or Professor Zorn, as he is known to readers of Neil Steinberg's columns) also provides a link to a file-stamped copy of Judge Maddux's Complaint. Maddux is represented in this matter by David A. Novoselsky, Benjamin Novoselsky, Leslie J. Rosen, and James J. Ayres of the Novoselsky Law Offices. A September 12 Law Bulletin story about this suit pointed out that Benjamin Novoselsky (David's father) is 92 -- and only recently retired from the bench. Stephanie Potter's Law Bulletin story quoted David Novoselsky, speaking of his father, "A day before he retired at age 90, he was handling two other judges' calls as well as his own.... He's as active now as he was on the bench." One suspects that Judge Novoselsky's involvement in this particular suit is not entirely coincidental. A link to Pallasch's article is here. Do not hold your breath waiting for a similar story from the Tribune. But it would be nice if both major newspapers in Chicago devoted as many column-inches to the election of judges in Cook County as they do to Hillary Clinton's wardrobe choices or the cost of John Edwards' haircuts. I will not, however, hold my breath waiting for this to happen. A healthy sense of skepticism is required when clicking around on the Internet. Until a July Florida appeals court ruling, Mark O'Hara, 45, had been in prison for two years of a 25-year mandatory-minimum for trafficking in hydrocodone, based solely on the 58 tablets found in his possession in 2004, even though his supply had been lawfully prescribed by a physician. The state attorney in Tampa had pointed out that Florida law did not mention a "prescription" defense to trafficking, and even though O'Hara had lined up a doctor and a pharmacist to testify, the jury wasn't allowed to consider the issue. After the appeals court called the case "absurd" and ordered a new trial with the prescription evidence allowed, the state attorney still refused to drop the case. Now this seemed a bit far-fetched. Imagine my surprise then when, checking out the story on Westlaw (subscription required), I found O'Hara v. State, --- So.2d ----, 2007 WL 2042821 (Fla.App. 2 Dist. 7/18/07). Although the Florida court did in fact call the State's construction of the relevant statutes "absurd," it did not laugh the case against O'Hara out of court: The bottom line is that there was an explicit prescription exemption in the possession statute but not in the trafficking statute. Of course, if one is going to sell drugs, whether he acquires his inventory in a street corner transaction or via a seemingly legitimate prescription is really irrelevant, isn't it? Standing alone, that proposition is absurd. But it is even more so when considering that the unwitting patient's criminal "culpability" would be less if only his doctor chose to prescribe his pain medication in another, more powerful, form. A Vicoprofen tablet contains 7.5 milligrams of hydrocodone, and its recommended dosage is one tablet every four to six hours to a maximum of five in 24 hours. Mr. O'Hara's troubles may not be over, however. The Florida court reversed O'Hara's conviction, but remanded for a new trial. An August 21 article in St. Petersburg Times confirms that the local prosecutor intends to retry O'Hara. Sounds weird to me. The Cook County Bar Association, Asian American Bar Association, Black Women Lawyers' Association of Greater Chicago, Illinois Judicial Council, Lesbian and Gay Bar Association and Puerto Rican Bar Association of Illinois are sponsoring a seminar for judicial candidates seeking election in 2008. "Getting on the Judicial Ballot and Winning" will be held from 5 p.m. to 7 p.m. on Sept. 27 in room 1905 of the Daley Center. Registration is not required. Speakers are Cook County Circuit Judges David Delgado, Marjorie C. Laws, Sandra R. Otaka and Sebastian T. Patti and Associate Judge Mathias William Delort. Before ascending to the bench, Judge Delort was a specialist in election law. The Law Bulletin article adds that the program will cover "commonly litigated election law issues, effective countywide judicial campaigns, effective subcircuit judicial campaigns and campaign finance." A per curiam order disposes of a motion to dismiss the appeal in the case of In re American Safety Indemnity Co., --- F.3d ---, 2007 WL 2492815 (2nd Cir. 9/6/07). The appellee argued that the appeal was filed too late. The appellant argued that its attorney called the district judge's chambers and asked which of two possible orders started the clock running for the planned appeal. The appellant claimed that it relied on what the judge's clerk told its attorney. Thanks to Chicago attorney Bob Moss who posted this quote yesterday on the ISBA Listserv. This is my nominee for Recidivist of the Month. Meet Edward Magenheimer, age 70, of Elmsford, New York. Mr. Magenheimer underwent heart bypass surgery earlier this year. 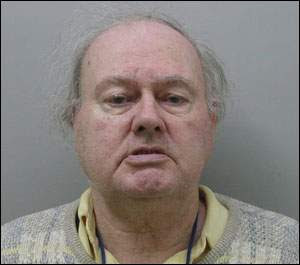 In July, he entered a guilty plea to charges that he bilked three little old ladies out of several thousand dollars. According to a story by Nicole Neroulias of The Journal News, and posted at Lower Hudson Online, it was just last Thursday that Magenheimer was sentenced to a year in the Westchester County Jail on these charges -- and only Monday that he was released "with time served and one-third off for good behavior." But, according to the policy in Tarrytown, New York, Magenheimer's behavior didn't stay good. Early yesterday morning, shortly after 6:00 a.m., Magenheimer allegedly happened upon a "1996 white Jaguar that its owner had left parked and running at Spadaccia's Deli on Route 9A in Elmsford." He hopped in and took off toward Tarrytown... where he was nabbed in under 20 minutes. Maybe he liked prison food. I first saw the story this morning on Yahoo! News; the image in this post is taken from Lower Hudson Online. The Illinois Supreme Court recently appointed Furmin D. Sessoms to the 5th Subcircuit vacancy opened by the resignation of Judge Bernetta D. Bush. Sessoms, according to Sullivan's Judicial Profiles, has an undergraduate degree from the University of California-Berkeley and a law degree from Georgetown. Licensed in Illinois since 1990, Sessoms began his legal career with the Cook County Public Defender's Office. After a seven-year stint in private practice, Sessons rejoined the PD's office, this time as "as chief of the 4th Municipal District Office and, immediately prior to joining the bench, as Deputy Public Defender." Sessoms' appointment has sparked a controversy. The Chicago Tribune in a September 2 story by Michael Higgins (with Mickey Ciokajlo) reported that, although Sessoms was found "qualified" for judicial office by the Chicago Bar Association, Sessoms was found "not qualified" or "not recommended" by eight of the ten bar associations that together form the Alliance of Bar Associations for Judicial Screening. Only the Cook County Bar Association and the Black Women Lawyers' Association of Greater Chicago recommended Sessoms' appointment. Like the Chicago Bar Association, the Chicago Council of Lawyers typically releases a brief explanation of its judicial ratings. Of Mr. Sessoms, according to the Tribune article, the Council stated: "Mr. Sessoms has no jury trial or appellate law experience and, despite his many years in the public defender's office, has only tried misdemeanor cases.... While he is to be praised for his community service and commitment to diversity, he has not demonstrated the legal ability or temperament necessary to be a judge." The other Alliance members typically do not release explanations for their ratings, nor did they do so on this occasion. The Supreme Court requested an explanation anyway. And they didn't get one. Brian Mackey reported, in the September 4 issue of the Chicago Daily Law Bulletin (subscription required), "the Alliance wrote back, saying the executive board had twice met to discuss the court's request and decided not to provide any additional information." Sessoms had agreed to waive his confidentiality rights, but the Alliance responded, "that release does not cover sources, investigators' reports and the post-interview discussion." According to Mackey's story, the court's first request for information came in a letter signed by Cynthia Y. Cobbs, director of the Administrative Office of the Illinois Courts. But when the Alliance decided not to accommodate the court's request, even after Sessoms waived his confidentiality rights, another letter was sent by the court, this one signed by all three of the Cook County justices, Charles E. Freeman, Thomas R. Fitzgerald and Anne M. Burke. "Your refusal to honor our express request for the same, particularly on the basis cited, [affects] the credibility of the evaluation and, frankly, gives us pause. Even more importantly, however, it renders near impossible Mr. Sessoms ability to mount any credible appeal," the letter states. The justices also said they "covet zealously" their "independent constitutional authority to act in the absence of bar associations' assistance and, certainly, in spite of their refusals." The letter uses the past tense throughout, thanking the Alliance for its "past assistance," which the court has "historically... seen fit to invite." Mackey's article also noted that Justices Burke, Fitzgerald and Freeman all attended Sessoms' swearing-in ceremony. That's an unusual honor -- and as strong a statement, in its way, as anything said in its letter: The Supreme Court will appoint judges that it deems fit. In a September 4, 2007 post on Illinoize!, Ed Murnane of the Illinois Civil Justice League tries to turn this disagreement among friends into an attempted power grab by "plaintiffs' lawyers, the personal injury trial lawyers who frequently seem to be more interested in the size of the award than in justice." In the post, Lawyer Groups Throw Weight Around In Judge Selection, Murnane lamented that, in Cook County, "judicial candidates are slated by the Cook County Democratic Central Committee. They may, or may not, have any qualifications beyond the endorsement of a local ward or township committeeman." But, he said, "[p]erhaps more disturbing than the dominant role of political parties in selecting judges is the intimidating influence of the lawyer groups, starting with the Illinois State Bar Association." Yes, Murnane says, the "ISBA, heavily influenced if not controlled by plaintiffs' attorneys, weighs heavily in the judicial selection and election process.... [The] ISBA has wielded far more influence than the organization deserves and its biases have been obvious." But the appointment of Judge Sessoms is hardly an illustration of the ISBA's 'intimidating' presence in the judicial selection process. Let's just take a breath here and consider a couple of points. I have reviewed an appreciation I wrote in 1994 for the Chicago Daily Law Bulletin following my own unsuccessful primary run and find that I did not mention the ISBA at all. It was the increasing number of candidates per vacancy and the budding interest of the ISBA in becoming involved in the evaluation of Cook County judicial races that led to the formation of the Alliance of Bar Associations for Judicial Screening. But the Alliance is a relatively new creation. The Puerto Rican Bar Association of Illinois. I submit that Mr. Murnane misunderstands the role that bar association evaluations play in the judicial election process. They are opinions offered by organizations interested in the improved operation of the court system. Every organization offering an opinion may have a different idea about what improved operations may mean. Since bar association recommendations are only opinions, informed voters (or in the case of Judge Sessoms, the very informed appointers) are free to consider and disregard them. In this case, the Supreme Court offered the dissenting Alliance members an opportunity to explain why they disagreed with the court's assessment that Judge Sessoms was fit to serve. When the Alliance chose not to respond, the court went ahead with its appointment. But that does not mean that bar association evaluations are worthless. If anything, the opinions of the CBA and the ISBA and the rest of the Alliance members should be more widely disseminated and more influential: These opinions regarding a candidate's merits (clearly labeled as such) are often the only thing real life primary voters have to go on -- except for the palm card on the way into the polling place. Although a precinct captain may disagree, it takes more than a palm card to make an informed voter. Prospective candidates for the Circuit Court bench in the February 2008 primary are wondering: Who else is running? Those who've been appointed to vacancies are presumably all running... but there will be dozens... maybe even a couple of hundred... others who will enter the lists. I've found a few already who've put up websites (one of these, John G. Mulroe, the subject of a September 1 post, is, I saw this week, already running ads on CTA buses). So some candidates will advertise even before filing for judicial candidates opens. But most will not. How, then, might a would-be candidate know who else is considering the race? Well, would-be candidates who hope to raise and spend money on their campaign must file this form with the Illinois State Board of Elections. And when candidates file this form D-1 Statement of Organization, the information becomes available on line. All the names below come from the "Latest Reports Filed" page on the State Board of Elections website as viewed on September 8, 2007. I deliberately skipped judicial candidates from other counties and I may have missed a Cook County candidate or two, but only because committees aren't required to specify the political office to which the candidate aspires. Many prospective candidates may have already established committees; the link provided here is only to the most recently filed. Also, candidates who have run previously might have kept their original campaign committees active with the State Board of Elections; no new D-1 forms would ordinarily be filed on behalf of such candidates. I've only included persons who have stated, in the title of their committees, that they are seeking judicial office. A September 7 filing discloses that Gerald Patrick Cleary expects to be a Democratic candidate for Cook County Judge. According to the ARDC, Cleary, a lawyer since 1994, is an attorney with the Northern Trust Bank. Terry McCarthy, whose campaign website I linked to in my August 28 post, filed his D-1 Statement on September 5. A D-1 was filed on behalf of appointed Circuit Judge Lauretta Higgins Wolfson on September 4. On August 31 a D-1 was filed for Nancy Hallihan Horodecki's campaing committee, Citizens for Nancy. According to the ARDC, Ms. Horodecki, who has only been admitted to practice in Illinois since 2004, is employed by the Teamsters. A D-1 was also filed on behalf of John Garrett Maher on August 31. According to ARDC, Maher has been an attorney since 1993 and is employed as an Assistant State's Attorney. Of course establishing or maintaining a committee provides no clue about the vacancy or vacancies for which a candidate may file. Nor does establishing or maintaining a committee guarantee that a person will actually become a candidate. But it is one tool which can be employed to get a 'handle' on who else is looking at a run. You can decide for yourself whether one-time Coney Island performer Eduardo Arrocha (who performed under the stage name "Eak the Geek") is making a big transition or a little one. It depends, I suppose, on how you view law school: If you view it as a "Bed of Nails," maybe the transition isn't too extreme. That was Arrocha's act in the Coney Island Circus Sideshow (it is the Sideshow website from which the accompanying image is taken). A September 4 story by Lauren Johnston in Newsday reports that Arrocha has enrolled at the Thomas M. Cooley Law School in Lansing, Michigan. Even though his father is a corporate lawyer (in Mexico City) and his mother an academic, it is unlikely that Arrocha will pursue a career with a silk-stocking firm. 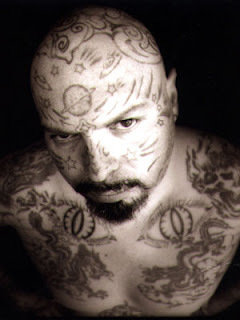 For one thing, according to Johnston's story, Arrocha is "tattooed from head-to-toe" with "stars and planets inked all over his face." (Your typical big-firm associate is unlikely to have any visible tattoos -- maybe a little tiny AmJur volume on the hip celebrating a class award, but that's about it.) For another, Arrocha's ambition takes him in a different direction: Arrocha told Newsday that he wants to be a "freak lawyer.... I hope to have a little office in New York and work with the alternative people ... all the so-called riff-raff, to give them legal representation that is not judgmental." But, before Arrocha gets to hang out his shingle, he's had to learn how to tie a tie. There's apparently a dress code at Cooley. White v. Chicago Transit Authority, the subject of the May 23, 2007 post, Reporting about §41 of the Transit Act -- what TV and the courts may have missed, is now reported at 373 Ill.App.3d 507, 869 N.E.2d 287. Timothy M. Gallagher and William E. Hoversen, Jr., represented Geneva White. The CTA was represented in that case by Darka Papushkewych, General Counsel; Ellen L. Partridge, Deputy General Counsel; and Rachel L. Kaplan, Chief Attorney. Gallagher and Hoversen have since advised that a Petition for Leave to Appeal to the Illinois Supreme Court has been filed in this case. Cordts v. Chicago Tribune, the subject of the December 12, 2006 post, Let's talk about pleadings: Skipping straight to a §2-619 motion may waive a party's right to challenge the sufficiency of a complaint under §2-615, is now reported at 369 Ill.App.3d 601, 860 N.E.2d 444. John F. Winters, Jr. and Ruth M. Degnan of Winters, Enright, Salzetta & O'Brien, L.L.C. represented Michael Cordts. Appellees Chicago Tribune and Medeval Corporation were represented by John W. Powers and Karen M. Osgood of Seyfarth Shaw LLP and J. Laurence Kienlen of the Wheaton firm of Kienlen & Pietsch. Standard Mutual Ins. Co. v. Marx, the subject of the September 11, 2006 post, Dead storage claim a non-starter in new case -- just like the motorcycle that burned down the storage facility, is now reported at 367 Ill.App.3d 512, 854 N.E.2d 710. John R. Keith, of the Keith Law Office of Springfield, represented Appellant M&S Rentals, Inc. while Robert Marc Chemers and Scott L. Howie of Pretzel & Stouffer, Chtd., represented Appellant Standard Mutual Insurance Company. Mark W. Rigazio of the Rigazio Law Office of Morris, Illinois, represented Appellee John D. Marx. Pekin Ins. Co. v. Miller, the subject of the September 1, 2006 post, If a tree falls in the insurance policy, will it be covered? is now reported at 367 Ill.App.3d 263, 854 N.E.2d 693. Robert Marc Chemers and Scott L. Howie of Pretzel & Stouffer, Chtd. represented Pekin Insurance Co. Daniel E. Compton, of the Elgin firm of Brittain & Ketcham, P.C. represented the owners of the property on which the trees were wrongfully cut. Clay J. Mitchell, of Wauconda, represented Appellee Ken Miller d/b/a Miller Tree Service. State Farm Fire and Casualty Co. v. Hooks, the subject of the July 10, 2006 post, It's all relative in new State Farm household exclusion case, is now reported at 366 Ill.App.3d 819, 853 N.E.2d 1. James M. Harman, of Harman, Fedick & O'Connor, Ltd. represented Sharon Connor Hooks. David E. Neumeister and Jennifer L. Medenwald, of Querrey & Harrow, Ltd. represented State Farm. Instead of spending so much time looking over back issues of the Chicago Daily Law Bulletin and archived Supreme Court press releases in my search for information on appointments to judicial vacancies, I should have looked at the newspaper that was delivered to my office on Tuesday evening. The September 4 edition of the Law Bulletin carried two stories about three Cook County judicial appointments. Furmin D. Sessoms was appointed to fill the Fifth Subcircut vacancy created by the resignation of Judge Bernetta D. Bush. This is a link to the Supreme Court's August 30 order making that appointment. The paper also reported that James A. Shapiro and Thaddeus L. Wilson were both sworn in as new Cook County Circuit Judges on Friday, August 31. Both received appointments that will expire December 1, 2008, the day on which judges elected in the coming election will take their oaths of office. Both men also, according to the Law Bulletin, plan to run in this coming election. But to which vacancies were these men appointed? I've looked again at the Supreme Court website and at the Westlaw archives of the Law Bulletin and I can't find the answers to this question. On the other hand, a first-time candidate for judge will have to wait until the conclusion of the lengthy investigation process into the qualifications of all candidates in the primary -- a process that will conclude mere weeks before the primary date -- before he or she will know if any bar associations have found their qualifications adequate. For this election cycle, with the early primary date, though the Chicago Bar Association and the Alliance of Bar Associations can be counted on to render yeoman service, the gap between the conclusion of the bar review process and the election may be shorter than ever. Candidates aspiring to the vacancies filled last week by Messrs. Shapiro and Wilson just suffered a major blow to their hopes. Formal slating is underway today. It will be interesting to see if the newer appointees have a better claim on slating than those appointed earlier. Appointed, yes, but will they be chosen? Circuit court judges are elected in Illinois, but when vacancies occur the Illinois Supreme Court can fill those vacancies by temporary appointment. The appointed judge can seek election to a full term at the next election. There was a time when a judge appointed to a Cook County vacancy would have a good chance of being slated by the Democratic party at that next election. I don't believe that this is the rule any more -- but there is one way to find out: Slating is scheduled for this week. We will soon know who's been slated; we can compare that list with the list of those appointed. I do not pretend that this is an exhaustive list; it is merely what I can personally verify after searching the referenced sources over several hours this past long weekend. Park Ridge attorney Russ Stewart mentioned in a recent column on his website that the Supreme Court had appointed Kenneth Fletcher to fill the vacancy created by Aurelia Pucinski's move from a 10th Subcircuit seat to a countywide one. Stewart, himself a former judicial candidate, was not optimistic about Fletcher's or Snyder's chances of being slated. Stewart wrote, "Each Democratic committeeman has a rotating pick. This year, it’s Pat O’Connor’s (40th) and Gene Schulter’s (47th) turn. Fletcher, from the 41st Ward, and Snyder, from the 46th Ward, will both run, but, without party backing, they have no chance." Practicing law with a song in your heart? The ABA Journal Weekly Newsletter this week carries a link to this story by Martha Neil concerning an "unexpected Internet hit -- [a] law firm's unofficial theme song 'Everyone's a Winner at Nixon Peabody!'" According to Neil's story, Nixon Peabody is a 700-attorney national law firm based in Rochester, New York. Recently Nixon Peabody was named to Fortune Magazine's 2006 list of the 100 Best Companies to Work For (the link is to CNNMoney.com). The firm seems to have celebrated its good fortune at some "internal event" at which, according to Neil's story, "law-firm marketers" debuted an unofficial theme song for the firm, "Everyone's a Winner at Nixon Peabody!" And then some spoilsport went and posted it to YouTube -- and the video took off, getting, Neil says, 10,000 hits in 12 hours. The powers that be at the firm apparently turned as gray as their pinstripe suits and demanded that the song be taken down... a request with which YouTube complied. However, the Above the Law blawg turned down the request, and seems to gone "wall to wall" covering the story. ABC News has picked up the story as well (including -- if you watch the video -- an interview with the proprietor of Above the Law). Snippets of the song remain available on YouTube as well. I hope to continue writing here about the upcoming judicial primary (in Illinois generally and in Cook County in particular) in the weeks to come, so I suppose I should say, expressly, that I'm not running for any office this year. This may be particularly necessary since some persons who will come across this site may remember that I have twice run for judge, once in the 10th Judicial Subcircuit of Cook County (in 1994) and then, two years later, for a countywide vacancy. In recounting these adventures, I like to emphasize that I did well with the bar associations (in terms of garnering positive ratings) -- because I certainly didn't do well with the actual voters. I mention this merely to to explain my interest and to show that I identify with candidates now looking to "get the word out" about their own judicial campaigns. Another day, another website. John G. Mulroe is a candidate for judge in Cook County's 10th Judicial Subcircuit. This is the third link I've run across for a Cook County judicial candidate since I started looking earlier this week. Mulroe's new site stresses his experience as a hearing officer for the City of Chicago and the Chicago Park District. He also has served as an arbitrator in the Cook County court-annexed mandatory arbitration program. He's also a C.P.A. A past president of the St. Juliana Parish School Board, according to his site, Mulroe has also served as President of the Edison Park Community Council. He and his wife, Margaret, have four children.